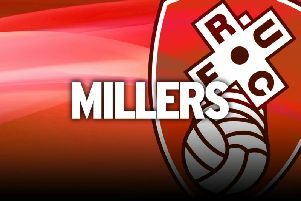 Rotherham manager Paul Warne wants his side to kick Hull while they are down in their Championship clash at the AESSEAL New York Stadium. The Millers welcome Nigel Adkins' struggling team to South Yorkshire for a rare game at this level where they might be considered favourites. The Tigers are enduring a tough start to the campaign, having taken just one point from their opening three games and they were booed off after their 1-0 loss to Blackburn at the weekend. Rotherham won their opening home match of the season against Ipswich and emerged from their 2-0 defeat at Leeds on Saturday with credit. And Warne will send his side out to attack vulnerable Hull. "All our home games are crucial and we have really got to try and take the game to them, better than we did against Ipswich and really strive for the three points," he said. “In fairness, if Hull had won the last three games, I would have wanted to take on Hull toe-to-toe and try and win the game. "The fact that they haven't may look like an easier game from an outsider's point of view. But I don't think there is any easy games in this league as Leeds found out against us on Saturday.